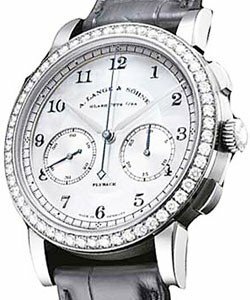 This watch is also known as: 401031 , Model407 , 407.031 . 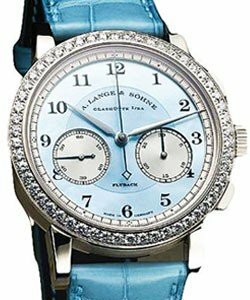 Discontinued Model. 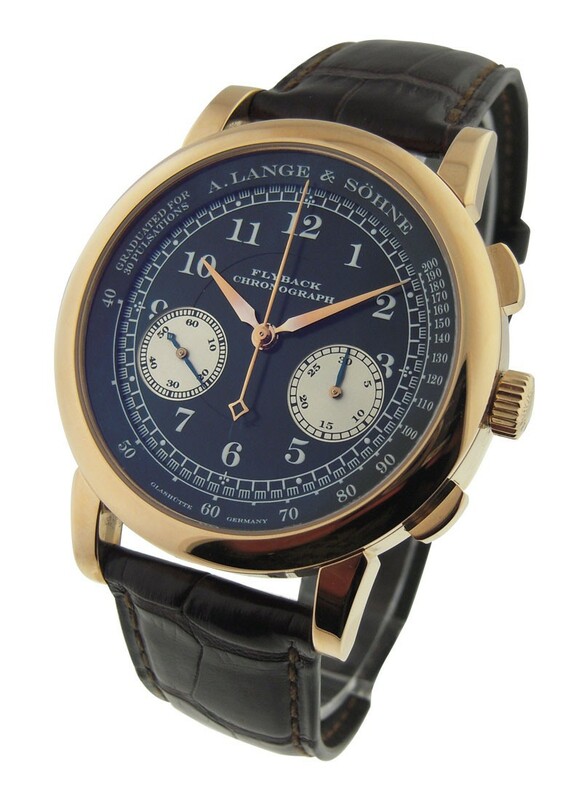 This gorgeous A. Lange & Sohne 1815 Chronograph features a 18KT Rose Gold 39mm case and a stunning black dial. 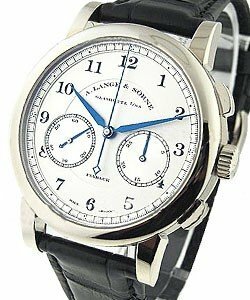 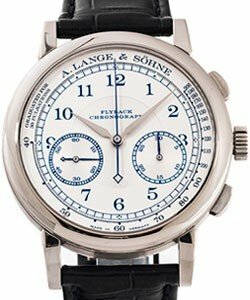 The A. Lange & Sohne Model #401.031 includes flyback, precise jumping minute counter and pulsimeter scale. 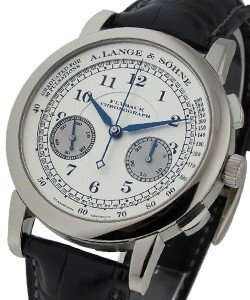 The A. Lange & Sohne 1815 Chronograph has a black leather strap and is powered by mechanical movement.